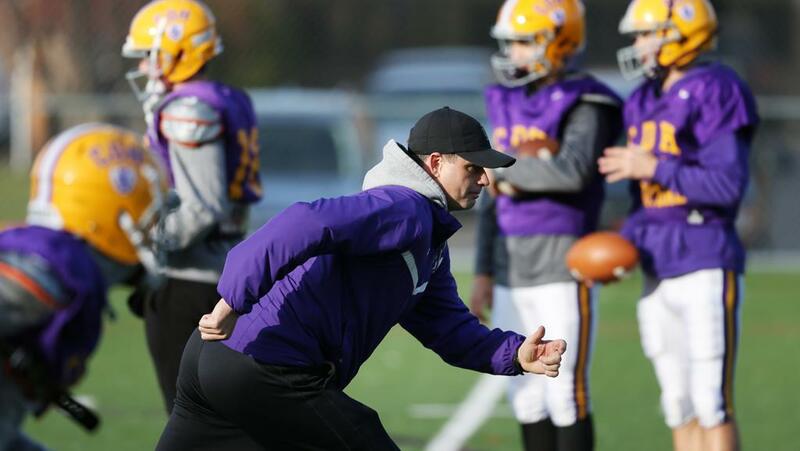 Brooks Bollinger has stepped down head coach of the Cretin-Derham Hall football program after three seasons leading the team, the school’s athletic director Phil Archer confirmed Wednesday morning. Archer said Bollinger sent an e-mail to the players and parents notifying them about the decision to step down. Bollinger, a former Minnesota Vikings quarterback, coached the Raiders to the Class 6A state semifinals in 2017. Bollinger, 39, played quarterback for four years at Wisconsin, leading it to a Rose Bowl victory in 2000. He played professionally from 2003 to 2010, including stints with the Vikings, Jets and Cowboys. Bollinger took over as head coach at Hill-Murray in 2011 and led it to the state tournament semifinals. He then took an assistant coaching job at the University of Pittsburgh and left after the 2013 season. In 2015 then-Raiders coach Mike Scanlan invited him to join Cretin-Derham Hall. The Grand Forks native is married to Natalie Roedler, who graduated from the school in 1998. The metro area’s leading rusher last season had held off signing earlier in hopes of finding what he felt was a better fit. Buffalo coach and ex-NFLer Todd Bouman called the 6-4 receiver ‘the most naturally gifted player’ he’s coached. His father, a former pro football quarterback, said his son, who helped lead Lakeville North to a Prep Bowl title, is “a need and a want’’ for the Cornhuskers. Evan Hull of Maple Grove and Treyton Welch of Buffalo are two of the best skill position players in Minnesota. Neither has committed to a college yet.